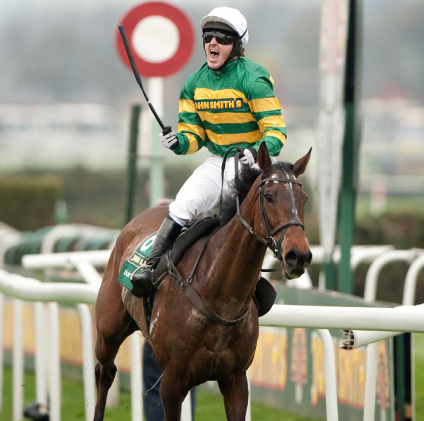 AP McCoy OBE is the greatest jump jockey of our time. He has dominated his sport for over two decades, making him one of the UK’s most talented sportsmen. AP ended his truly phenomenal career as Champion Jockey for the 20th consecutive year, recording 4348 wins (which includes the 2010 Grand National, the prestigious Cheltenham Gold Cup, Champion Hurdle, Queen Mother Champion Chase & King George VI Chase). AP retired from racing in April of this year. This incredible man and BBC Sports Personality of the Year spent his career setting records which we will not see broken in our lifetimes -a tribute to his stamina, endurance, motivation and dedication to the world of sport. AP is a regular contributor in the Times newspaper, on Sky Sports, Channel 4 Racing, The Morning Line, on BBC TV and TalkSPORT. He is a regular contributor on BBC Radio 5 Live. AP is also Albert Bartlett and William Hill’s official ambassador and the Face of the Cheltenham Festival. He has appeared on programmes such as A Question of Sport, ESPN, Setanta Sport, A League of their Own, Play To The Whistle and Soccer AM. AP has published a fictional novel called “Taking the Fall” and his autobiography has received acclaim throughout the sporting and non-sporting world. “Being AP” – a documentary style film, is currently in production and will reach Ireland and over 200 cinemas in the UK in mid-November. AP has been followed by a camera crew for a year, allowing access to his life as a champion jockey, revealing the pressures he faces every day, the dangers of the sport, his unyielding determination and his fear of failure.